Enhance your everyday style by adding a sultry touch to your look by adding grey circle lenses to your everyday wear. They’ll give you the perfect balance between being flirty and aloof- you’ll be sure to get a lot of admiring glances! Grey cosmetic contact lenses are also a fantastic way to add some romance to date nights. Some of the most popular grey circle lenses include the I.Fairy Ash Grey lens and the I-Codi Colours Of The Wind No.46 Cloud grey lens. 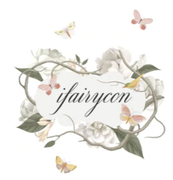 Decide if grey is for you - browse all the available lenses options at IFairycon!